Regulators say R.J. Reynolds Tobacco Co. must stop selling four kinds of cigarettes because the Food and Drug Administration said the company had failed to show they aren't riskier than cigarettes on the market before mid-February 2007. For the first time, the Food and Drug Administration has ordered a major tobacco company to stop selling several types of cigarettes. 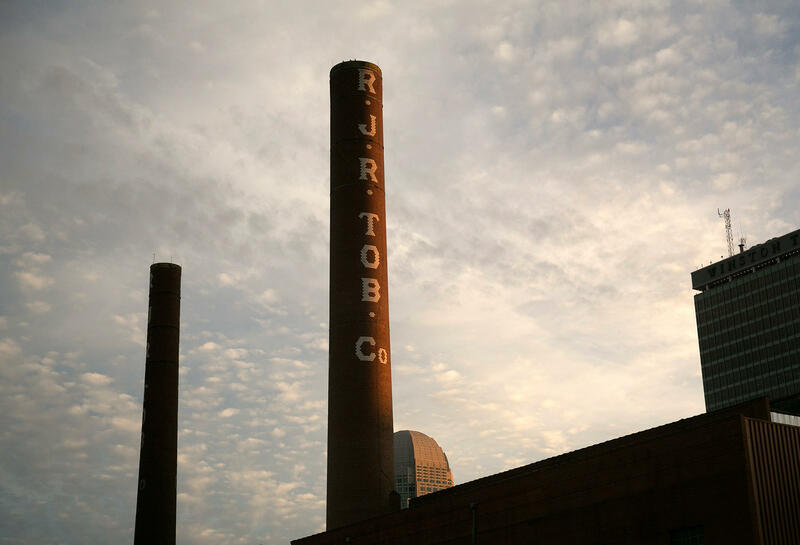 The FDA on Tuesday ordered the R.J. Reynolds Tobacco Company to stop selling four products: Camel Bold Crush, Vantage Tech 13 and the regular and menthol versions of Pall Mall Deep Set Recessed Filter cigarettes. The FDA has ordered other cigarettes off the market before, but those actions involved much smaller companies selling much less popular cigarettes. The agency says it took the action because R.J. Reynolds had failed to prove the the cigarettes were no more dangerous than brands that have been on the market longer. "These decisions were based on a rigorous, science-based review designed to protect the public from the harms caused by tobacco use," Mitch Zeller, director of the FDA's Center for Tobacco Products, said in a statement. "The agency will continue to review product submissions and exercise it's legal authority and consumer protection duty to remove products from the market when they fail to meet the public health bar set forth under law." Congress gave the FDA authority to regulate cigarettes for the first time in 2009. Among the agency's new powers are the authority to require new products to prove they pose no more risks to smokers than cigarettes that were put on the market before Feb. 15, 2007. The FDA says R.J. Reynolds had failed to show the four products that have been ordered off the market do not expose smokers to more harmful chemicals, higher levels of menthol or new ingredients. R.J. Reynolds didn't immediately respond to a request to comment. For the first time, the Food and Drug Administration has ordered a major tobacco company to stop selling some of its cigarettes. NPR's Rob Stein has the story. ROB STEIN, BYLINE: The FDA got the power to regulate tobacco six years ago. That meant it could demand any new cigarettes prove they are not riskier for smokers than existing brands. Since then, the FDA has rejected a bunch, but this is the first time it's gone after a big tobacco company and popular brands. Mitch Zeller heads the FDA's Center for Tobacco Products. MITCH ZELLER: Earlier today, we issued orders that will stop the sale and distribution of four currently marketed R.J. Reynolds Tobacco Company cigarettes - Camel Crush Bold, Vantage Tech 13, Paul Mall Deep Set Recessed Filter Menthol and Paul Mall Deep Set Recessed Filter. STEIN: Reynolds failed to prove those cigarettes don't expose smokers to more of the known dangerous chemicals in tobacco, had failed to show they don't contain new, potentially dangerous chemicals and the company couldn't convince the FDA they don't deliver more ingredients, like menthol and sweeteners, that make it easier for smokers, especially kids, to get hooked. ZELLER: Despite decades of work to reduce tobacco use in this country, tobacco use continues to be the leading cause of preventable disease and death. Today's actions reflect the FDA's ability to use its legal authority, combined with scientific review, to protect public health. STEIN: The move was hailed by anti-smoking advocates, like Matthew Myers, president of the Campaign for Tobacco-Free Kids. MATTHEW MYERS: Today's decision may be one of the most important actions the FDA has taken since it got jurisdiction over tobacco products. The fact that FDA has so clearly articulated that products that deliver menthol more powerfully or have higher levels of sweeteners are going to be scrutinized means that for the first time tobacco companies have to worry about this in a way they have never had to worry about before. STEIN: Stores have 30 days to clear their shelves of the four R.J. Reynolds cigarette products being banned. The company issued a statement late today saying it had supplied the FDA with plenty of evidence that should have allowed its cigarettes to stay on the market. Rob Stein, NPR News. Transcript provided by NPR, Copyright NPR.